Named after Rex Tanner, who bravely gave his life in an effort to save Russ Hall during the historic 1914 fire, this hall was built in 1954 and is structurally identical to its neighboring residence halls, Trout and Bowen. Tanner Annex was added in 1965. Tanner Hall was renovated in 2011, and Tanner Annex was renovated in 2012. 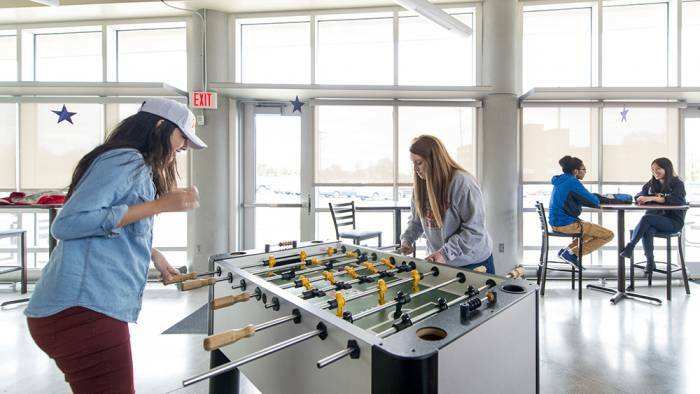 Tanner Hall and Tanner Annex are located on the northern edge of campus and are just steps away from the the university's Axe Library, the Axe Grind coffee shop, featuring Starbucks coffee and Carnie Smith Stadium. One of the best things about living on campus is ... living on campus! All of Pittsburg State's residence halls are within walking distance of the incredible Overman Student Center. 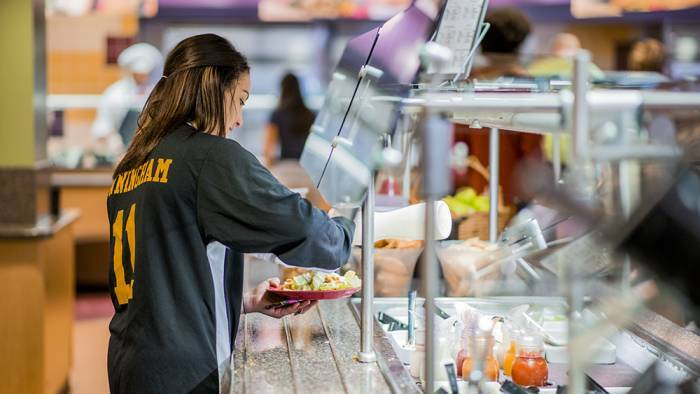 The living room of the university, the Overman Student Center offers you access to amazing food at the Gorilla Crossing, Einstein's Bagels or Tres Habeneros. You can enjoy live entertainment at the U-Club, listen to amazing speakers in the Crimson and Gold Ballroom, watch a movie in the mini-movie theater, shop for the latest Pitt State gear in the Barnes & Noble bookstore or just relax with your friends in one of our the many study areas. The Overman Student Center is also home to the Campus Activities Center and Student Government Association. There's so much to see and do and it's all just steps away when you live on campus. There's so much more to college than the classroom. At Pittsburg State you'll have the opportunity for leadership and personal growth through involvement in one of the 150+ student organizations, experiencing incredible programs from visiting lecturers and enjoying our championship caliber athletics. 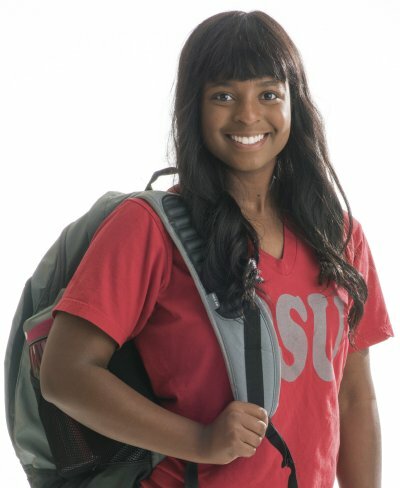 You'll find a campus designed to support your academic and co-curricular goals. When you live on campus, you’re directly connected to all of the excitement and opportunities that our Pittsburg State has to offer. You’ll meet students from around the world who share your passion for academics, and you’ll have the opportunity to become part of our supportive residential hall community. Live in the heart of the excitement, capture the full collegiate experience ... live on campus. 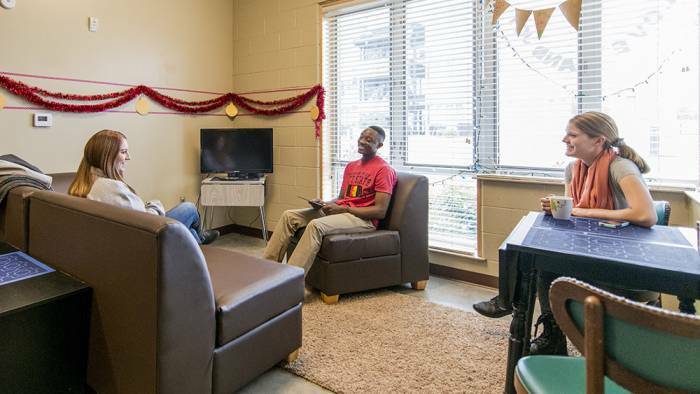 Catch up on homework, watch TV, or just relax with friends (picture shows Crimson Commons living area). 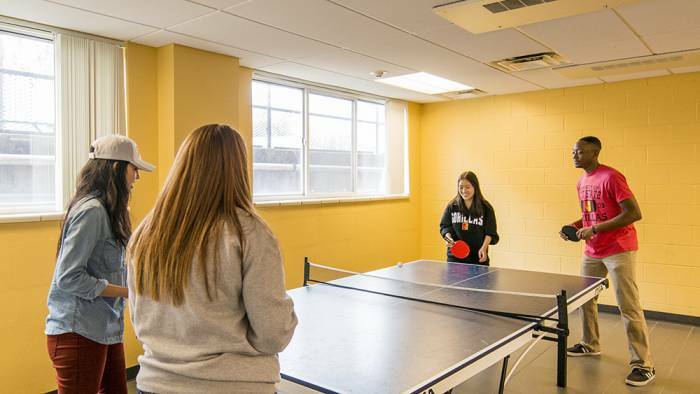 The lobby area of each hall provides students with a relaxed atmosphere and features amenities such as vending machines, relaxation areas, big screen televisions and small kitchenette areas. Students have many options when it comes to room design, layout and style. It's easy to make yours feel like home. 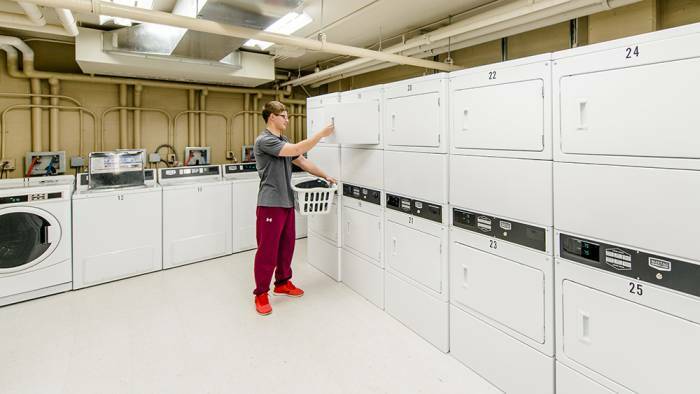 Students can even do their own laundry without ever leaving campus, as each residence hall features its own laundry facility.